Regardless of which words you use to describe the behavior whereby one parents seeks to drive a wedge, or sever, the relationship between their co-parent and their child, the results remain the same. Interfering with Parental Access is the legal term used to refer to one parent attempting to obstruct or eliminate the parental access and influence of their co-parent. The behavior can include truncating telephone and electronic communication, interfering with visitation, and even kidnapping a child and taking them to a secret location. In some extreme circumstances the identity of the child is changed. Steeped in controversy, the underlying reasons for this conduct can create folk heroes or abhorrent criminals once the conduct passes the threshold of a criminal Custodial Interference chage. What Is Custodial Interference In New York? Custodial Interference takes its form in several different ways. In one instance one parent is genuinely concerned about the safety and welfare of their child when exposed to the criminally abusive or negligent conduct of the other parent. But, they unwittingly suffer the unanticipated legal consequences of being labeled an “alienating parent” by trying to implement a safety plan without the assistance of a good attorney or the courts. Pro Se litigants are particularly vulnerable because they do not understand how issues of domestic violence and other more serious allegations are often interpreted and addressed within the Family Courts. Is Interference A Form Of Abuse? The courts are vigilant in their separation of what is problematic to the parent versus what is classified as “abuse” to the children, and will uphold that two parent access is essential to the well being of a child. In fact, the courts deem the “alienating parent” as the more damaging or “abusive” parent, and at times terminate parental rights and visitation to the person flagged as the “alienator”. Someone who presents to the court that the abuse or neglect they personally experience translates to equal abuse and neglect of their child is very likely to be painted as the true villain, and not a victim. Invest in a foundation of trust with the right child visitation attorney, and they can teach you how to respond and document this conduct approrpirately; which will save you many thousands of dollars protecting your family. The courts are behind the times not only in the use of basic technology, but are equally hampered by an antiquated understanding of the impact of both sides of the same coin; witnessing domestic violence and alienating behaviors on children. Handling this type of problem on your own, and worse, inappropriately will undoubtedly lead to horrific consequences not just for you, but more importantly to your children. In some families this behavior is so entrenched that it is generational, and extended family members will even reinforce and participate in the interference of custody and/or access and visitation against other adult family members. The claim of abuse might also be used by a parent who is using a false allegation as a pretext, or cover, to justify controlling access to their children, which truly serves as their punishment or control mechanism of the other party. Pointing fingers at a parent that is truly attempting to protect their children is a confusing ruse that is hard to untangle for any professional. It takes time to allow the real culprit to emerge. Unfortunately, the sense of panic and urgency a protective parent feels leads to more confusion and less illumination. Sometimes a controlling parent successfully uses the court system as their proxy by behaving in a diabolic manner in private but like a saint before the court; this is very difficult conduct to document and protect yourself from. The more shrill you become, the less credibility you maintain. Tragically, from the outside looking in both parties caught in this power struggle appear to be exhibiting the exact same conduct. 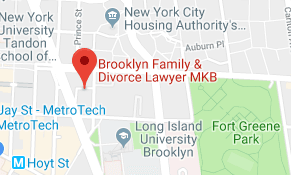 Having a savvy, intelligent, and patient Brooklyn family attorney can quickly become your only defense from this type of behavior. This conduct is usually what is being referred to when the legal community refers to a “high conflict” divorce. But those in the middle experience it as legal meat grinder, and they are the hamburger. Though many in the legal community are coming to understand the complexities of this type of behavior, the howls of victims can be so confusing, and the lack of effective means of investigation so sparse, that it might take quite some time to have your attorney and court officials understand what is really going on. While it is extraordinarily cruel to a co-parent, it is devastating to children to deprive them of a loving parent and force them to witness the destruction of someone they love. Naturally, many attorneys approach this problem in a very adversarial manner, which only feeds into the the problem. There is an entire infrastructural apparatus that has been instituted to address this kind of “high conflict child custody battle”. It entails the use of hugely expensive court appointed professionals; who don’t always get it right, or worse, maintain underlying agendas to normalize behavior that most laymen would agree should not be normalized. This area of the law is syndrome rich, functioning like the proverbial “tar baby”. The more you touch it the worse it gets. If this is your very unfortunate reality, whether you genuinely need to protect your family; or you are being falsely accused of harming your family through the use of Custodial Interference, you should think long and hard about the generational impact this legal quagmire can inflict upon you, your former spouse, and your children. While your experience up til now may have caused you to lose all faith in the legal system, the right attorney makes all the difference in the world. There are a lot of theories behind what fuels this behavior, and whether it is delusion or psychopathy, or an authentic need to protect children; addressing the behavior legally is a different problem than addressing the mental health, or social issues. 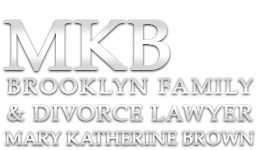 You need someone who is an effective Brooklyn Family & Divorce Lawyer. Period. 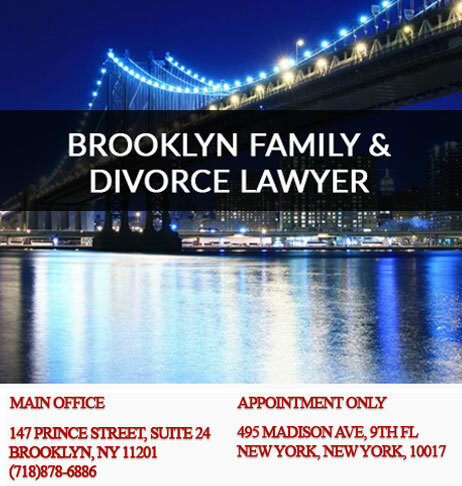 If this is your legal and personal reality it is imperative that you avail yourself of the right legal approach; an attorney that has the strategic capability to expose the reality of your circumstance, and who can protect you from becoming so emotionally overwhelmed that you undermine the safety of your family and yourself.